Additionally, Zarvot features an entire story-driven single-player campaign, as players assume the role of affable cube Charcoal who goes on a journey with their pal Mustard searching for the perfect way to cheer up their friend on their birthday. This heartwarming journey will take players through nine different zones, featuring fully realized dioramas of an abstract world that operates not unlike our own. 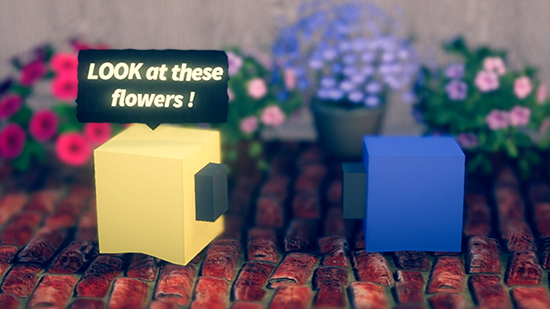 These comical, cosmopolitan cubes still need to go to flower shops, ride the metro, and sleep in their beds. In Zarvot, snow hydra takes the most humdrum of inanimate objects, and turns them into some of the most well-realized animated characters you’re likely to find.